What would it be like living here? What shops and restaurants are close by? How long would my commute to work be? These are all common questions we ask ourselves when we’re looking for the perfect place to call home. Imagining what life will be like is a big factor when choosing a neighbourhood that’s right for you, whether it’s being close to nightlife, restaurants and cafes, or, making sure there are daycare and transit facilities nearby for your kids. What the closest services and amenities are - grocery stores, cafes, shopping etc. We’ve also improved the overall map experience making it more user friendly, with all listings available at first glance. 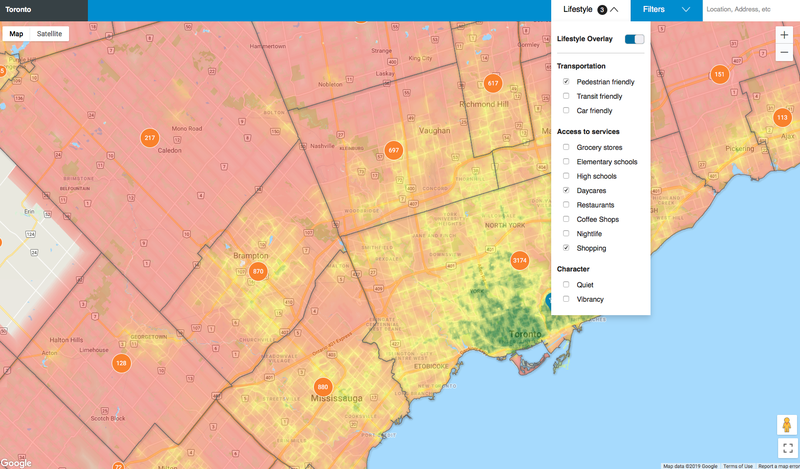 Try our new map search and activate the lifestyle feature from the filter at the top of the map. As always, if you have any feedback or ideas on what you’d like to see at REW, email us at [email protected]. Happy searching!